Choose any psychic Pokemon. They immediately DIE! Choose 5 of the opponents Pokemon all of the same type. They all DIE. 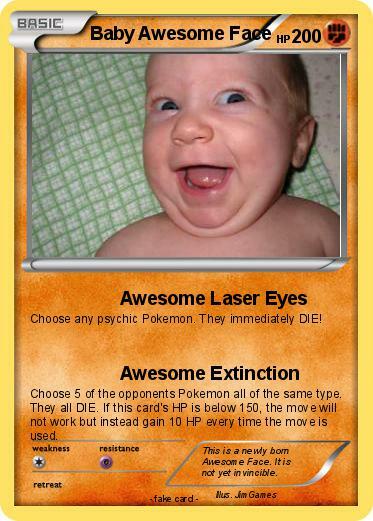 If this card's HP is below 150, the move will not work but instead gain 10 HP every time the move is used. Comments : This is a newly born Awesome Face. It is not yet invincible.